Are you looking for a same day crown in the San Gabriel Valley? Or looking to build a relationship with a local dentist? Then look no further than San Dimas Family Dentistry the premiere dental office of San Gabriel Valley. We are the highest rated office in the area, offering a variety of general and cosmetic dental procedures. Dr. Sawabini and staff have been serving the San Gabriel Valley for over 15 years, and have the know how to take care of all your dental needs. We offer Same Day CEREC Crowns. You can relax in our office as we mill your new crown in-house. Our same day crowns remove the length waiting period most dental offices have, you won’t have to wait weeks or compromise your lifestyle with CEREC Same Day Crowns. Eat your favorite foods, play your favorite sports and go out on the town without worrying about flimsy temporary crowns. 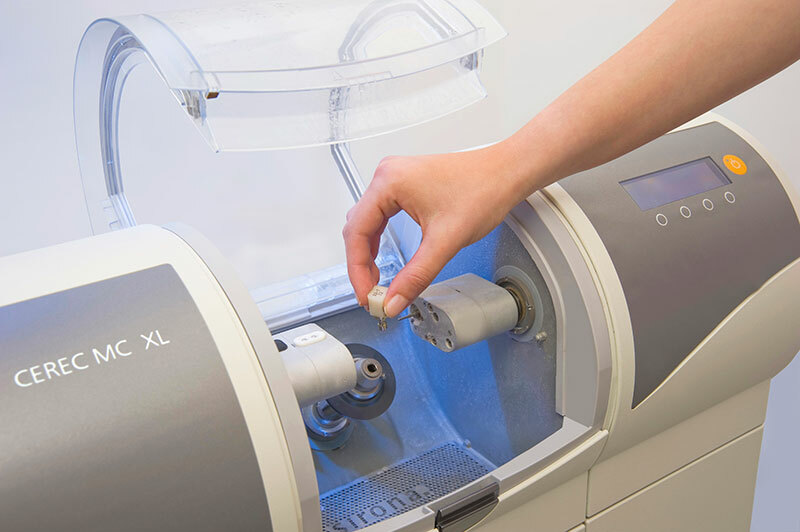 CEREC systems use the latest technology in dentistry today to create a 3D Model of your tooth and mill a appropriate crown to fit over it. With CEREC Same Day Crowns, we’ll have you out and about the same day we start your procedure. Dr. Sawabini a graduate of USC Dental School has the experience and know how to fix all your dental maladies and has been serving the San Gabriel Valley for over 15 years. Our experienced staff and friendly atmosphere is the perfect thing you need, when you are nervous or anxious about your next dental appointment. What are you waiting for? Call San Dimas Family Dentistry today to schedule your appointment. Let us show you why we are the highest rated dental office in San Dimas, and why our customers rave about our service and candor. We promise to provide the best service and experience you have ever had at a dental office.